If you're thinking of promoting your food business to more people, aside from those who dine in, mini fold menu can be of big help. 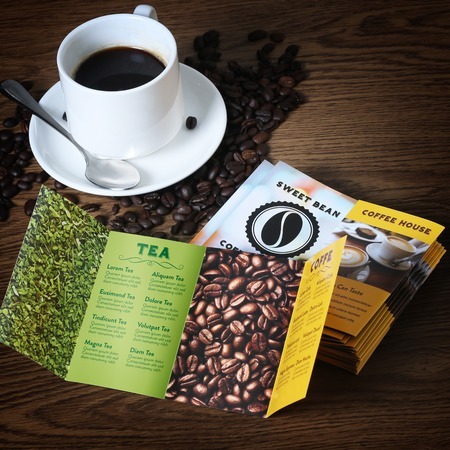 Pocket menus are portable and are easily handed out to passers-by, mailed out to customers, and even placed on counters as POS items. These are also ideal for food delivery services; people can put the prints inside their pocket or wallet and may eventually hand them out to family and friends. Pocket menus are folded into 4 panels (also known as parallel fold). With pages up to 8, these small sized prints are a lot more than pocket menus used for restaurants and food businesses. The prints are also great for advertising specific products and services, especially for hotel and travel industries. Pocket-sized menus are printed on either gloss or matte paper stock. For an extra gloss shine finish, you can choose glossy 100 lb paper. If you want a writable paper stock option, you can opt for matte stock. UPrinting doesn't guarantee the paper's writability and printability. Pocket menus are printed in offset with a standard turnaround time of 4 business days; 3 business days on a rush schedule.